I love connecting with readers! One of the best ways you can stay in touch is through my emails. They share information about new releases, provide updates on events, and sometime offer special opportunities - like the chance to win free books or tickets to a program. Check back often for updates. Better yet, sign up below for my email list. The following contains updates about and email by Kathleen. The latter were sent to people on her email list, based on their expressed interest(s) and/or location. If you'd like to receive email messages like these from Kathleen, click HERE. It's Kathleen's final Facebook author page and Sites and Stories blog 2013 Giveaway! The entry deadlne was Midnight US Central time, December 12th. The lucky winners are Janette Goldstein, Mary Maronde, and Laurie Wagus Miller! Each gets her choice of a Caroline Abbott six-book box set OR a set of all four Chloe Ellefson Historic Sites mysteries (with each book signed and personalized by Kathleen). Thanks to everyone who entered! Posted on Kathleen's News page December 10, 2013 (updated December 13, 2013). Kathleen joins Larry Meiller on his popular midday program to discuss traditional holiday foods and how families can help preserve their culinary traditions for future generations. Originally broadcast and streamed live December 9th on the Wisconsin Ideas Network, you can listen to this 1 hour 13 minute program by clicking on the right-facing triangle below. Posted to Kathleen's News page December 8, 2013 (updated December 9, 2013). Posted to Kathleen's News page December 3, 2013. It's almost Spirit of Christmas Past time at Old World Wisconsin! The museum invites you to "warm up by crackling wood-fired stoves, and stroll through Old World's 19th-century Wisconsin village, decked out for the holidays" on Saturday and Sunday, December 7th, 8th, 14th, and 15th, from Noon to 4 PM. And in the spirit of the season, Kathleen is giving away free passes for this event. Visit Kathleen's Facebook author page for details. Posted to Kathleen's News page November 22, 2013. Two lucky readers, Betty Bruns Munguia and Terry Myra, won Kathleen's Facebook '800 Likes' Gratitude Giveaway. Each gets her choice of either a boxed set of six Caroline Abbott American Girl books or a set of all four Chloe Ellefson Historic Sites mysteries. The books will be signed and personalized for the winners by Kathleen. Stay tuned for additional giveaway from now through the end of the year. Posted to Kathleen's News page November 21, 2013. Kathleen is just back from a 5-day writing retreat in an undisclosed location. She was busy working to finish up the next Chloe Ellefson mystery--with the aid of Sophie, her feline muse. The photo shows Sophie's ritual 'laying on of paws' to aid Kathleen with a difficult passage. Posted to Kathleen's News page November 19, 2013. Emailed November 4, 2013 to Kathleen's Decorah, IA area email list. Update. Kathleen speaks with Arleen Soltow about her Heritage of Darkness book signing tonight at Vesterheim Norwegian-American Museum, and the Holiday Food Traditions class she and Darlene Fossum-Martin are teaching there this weekend. Listen to this 7 minute 20 second interview by clicking on the right-facing triangle below. Posted to Kathleen's News page October 31, 2013. Update. Kathleen speaks with Ryan Delehant about how Decorah and the Vesterheim Norwegian-American Museum are the setting for Heritage of Darkness, her fourth Chloe Ellefson Historic Sites mystery. The show was broadcast in the NE Iowa/SE Minnesota area. Listen to this 7 minute 40 second interview by clicking on the right-facing triangle below. Posted to Kathleen's Heritage of Darkness and News pages October 26, 2013. Update. These results are based on US sales tracking data for over 8 million printed books, provided by Nielsen BookScan, a service used by the publishing industry. Thanks AG fans! Posted October 25, 2013 to Kathleen's News page. Caroline Abbott 6 Book Giveaway! Posted October 24, 2013 to Kathleen's News page (updated October 26, 2013). Emailed October 24, 2013 to Kathleen's Madison, WI area email list. Update. These results are based on US sales tracking data for over 8 million printed books, provided by Nielsen BookScan, a service used by the publishing industry. Thanks Chloe fans! Posted October 23, 2013 to Kathleen's News page. Posted October 22, 2013 to Kathleen's News page. Update. 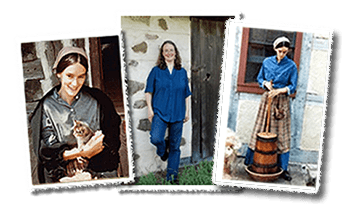 Listen to Kathleen's recent interview on Wisconsin Public Radio's popular midday program, The Larry Meiller Show. The show was broadcast statewide on WPR's Ideas Network, and streamed live over the Internet, but you can hear to it now by clicking on the right-facing triangle below. Posted October 20, 2013 to Kathleen's News page. Posted October 18, 2013 to Kathleen's News page. Update. Kathleen will be signing her newest Chloe Ellefson mystery, Heritage of Darkness, this Sunday, October 13th, from 10 AM to Noon at Islandtime Books on Washington Island, WI. Rock and Washington Islands are the setting for Kathleen's previous Chloe book, The Light Keeper's Legacy. Kathleen will be meeting readers and signing all four of her Chloe mysteries at this free and public event. She'd love to see you there! Posted October 9, 2013 to Kathleen's News page. Update. Kathleen Ernst, LLC is an official corporate sponsor of two WPR IDEAS Network programs: Simply Folk, broadcast Sundays from 5-8 PM, and Chapter A Day, which she sponsors Monday, Wednesday, and Friday from 12:30-1 PM. To hear her 15-second on air sponsorship message, click on the right-facing triangle below. Added October 8, 2013 to Kathleen's News page. Update. Kathleen's newest Chloe Ellefson mystery, Heritage of Darkness, is now available, and where better to hold the first official signing than at Old World Wisconsin -- where Chloe works! From Noon to 5 PM Saturday, October 12th, Kathleen will be meeting readers and signing her Chloe mysteries at the museum store, where all four books in the series wil be for sale. The signing is free and open to the public. She'd love to see you there! Posted October 7, 2013 to Kathleen's News page. Posted October 2, 2013, to Kathleen News page. Posted October 1, 2013 to Kathleen's News page. Posted September 30, 2013 to Kathleen's News page. Update. Kathleen will be signing copies of Heritage of Darkness, her newest Chloe Ellefson Historic Sites mystery, at the booth of publisher Midnight Ink, starting at 11:00 AM, Saturday, October 5th. The Forum is a new industry venue for booksellers, publishers, and others involved with independent bookselling in the Greater Midwest US, jointly hosted by the Great Lakes Independent Booksellers Association and the Midwest Independent Booksellers Association. Posted September 29, 2013 to Kathleen's News page. Update. 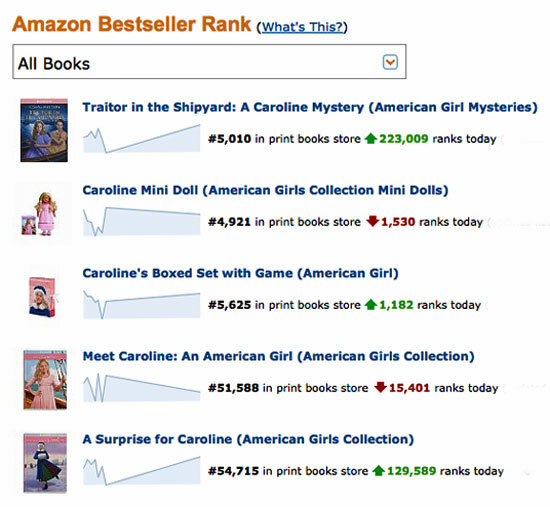 Continuing brisk demand for Kathleen's latest Caroline Abbott American Girl mystery, Traitor In The Shipyard, has kept it ranked in the Top 1% of book sales for 241 days. These results are based on US sales tracking data for over 8 million individual printed books. The data comes from Nielsen BookScan, a sales tracking service widely used by the publishing industry. Thank you American Girl fans! Posted September 28, 2013 to Kathleen's News page. Update. Now that Heritage of Darkness is available, but before the launch events begin, Kathleen and her faithful muse Sophie are off on a week-long retreat working on the fifth book in her award-winning Chloe Ellefson Historic Sites mystery series. Kathleen is under contract to deliver the manuscript to publisher Midnight Ink for release in 2014. Posted September 24, 2013 to Kathleen's News page (updated September 30, 2013). Posted September 24, 2013 to Kathleen's News page. Library of Congress Asks: What Book Shaped You? Posted September 21, 2013 to Kathleen's News page. Posted September 20, 2013 to Kathleen's News page. Update. Vesterheim has received an advanced order of Heritage of Darkness trade paperbacks, which they are offering for immediate purchase -- online or in person -- from their store. Posted September 13, 2013 to Kathleen's News page. Emailed September 9, 2013 to all of Kathleen's email lists. Update. Dana Lowery Crenshaw, Heather Egger, and Madeline Taylor have each won a complete signed set of Kathleen's 25 published books. They were selected randomly from a list of 300 plus names of those who entered the 25 In 25 Giveaway Grand Finale. Congratulations to the winners, and stay tuned for more giveaways coming this fall. Posted August 28, 2013 to Kathleen's News page. Sent August 25, 2013 to Kathleen's entire email list. Update. Continuing brisk demand for Kathleen's latest Caroline Abbott American Girl mystery, Traitor In The Shipyard, has kept it ranked in the Top 1% of book sales for 212 days. These results are based on US sales tracking data for over 8 million individual printed books. The data comes from Nielsen BookScan, a sales tracking service widely used by the publishing industry. Thank you American Girl fans! Posted August 22, 2013 to Kathleen's News page. Update. So many copies of Heritage of Darkness have been pre-ordered that it has ranked in the Top One Percent of printed book sales for 25 days. These results are based on US sales tracking data for over 8 million individual books. The data comes from Nielsen BookScan, a sales tracking service widely used by the publishing industry. Thank you Chloe fans! Posted August 19, 2013 to Kathleen's News page. Update. Kathleen is holding 25 weekly giveaways--one for each of her 25 books--in honor of the publication of her 25th book, Traitor In The Shipyard. In Week 24 Alina Bell-Games, Lucy Burroughs, Janet Halfman, Sandra Halgerson, and Patricia Moskop each won a free, signed and personalized copy of The Light Keeper's Legacy. The 25th and final giveaway starts this Sunday, August 25th. And it's going to be HUGE! Posted August 18, 2013 to Kathleen's News page (update August 22, 2013). Update. Kathleen is away this weekend scouting possible locations for the sixth book in her award-winning Chloe Ellefson Historic Sites mystery series from publisher Midnight Ink. Her fourth Chloe mystery, Heritage Of Darkness, is set for release on October 8, 2013. Kathleen is under contract to deliver Chloe 5 for publication in 2014 and Chloe 6 in 2015. Posted August 17, 2013 to Kathleen's News page. Update. Thanks to last week's interview on Milwaukee Public Radio, all three of Kathleen's Chloe Ellefson Historic Sites mysteries jumped into the top one percent of US printed book sales according to Nielsen BookScan, a sales tracking service widely used by the publishing industry. Added August 15, 2013 to Kathleen's News page. Sent August 14, 2013 to Kathleen's Dallas email list. Posted August 11, 2013 to Kathleen's News page (updated August 15, 2013). Update. In honor of National Lighthouse Day, Stephanie Lecci of Milwaukee Public Radio's Lake Effect Show interviewed Kathleen about Wisconsin's oldest light station, which is at the heart of the award-winning third book in Kathleen's Chloe Ellefson mystery series. Use the "Click to Listen" link on The Light Keeper's Legacy page to hear the interview. Posted August 7, 2013 to Kathleen's News page. Posted August 4, 2013 to Kathleen's News page (udated August 8, 2013). Sent August 3, 2013 to Kathleen's Miami email list. Posted August 1, 2013 to Kathleen's News page. Update. The next book in Kathleen's award-winning Chloe Ellefson Historic Sites mystery series, Heritage Of Darkness, went to the printer today! The release date is October 8th. Posted July 28, 2013 to Kathleen's News page. Update. Kathleen's latest American Girl book, Traitor In The Shipyard: A Caroline Mystery, has been in the top 1% of US printed book sales continuously for 120 days. Source: Neilsen BookScan data published by Amazon Author Central. Posted July 22, 2013 to Kathleen's News page. Posted July 21, 2013 to Kathleen's News page (updated July 25, 2013). Added July 20, 2013 to Kathleen's News page. Update. Kathleen is away taking a 5-day Telemark rosemaling class taught by Norwegian instructor Turid Helle Fatland at the Vesterheim Norwegian-American Museum in Decorah, IA. Kathleen took her first rosemaling class there several years ago while researching the antique ale bowl at the center of Old World Murder, the first book in her award-winning Chloe Ellefson Historic Sites mystery series. Posted July 18, 2013 to Kathleen's News page. Posted July 14, 2013 to Kathleen's News page (updated July 18, 2013). Emailed July 14, 2013 to Kathleen's Sackets Harbor email list. Posted July 7, 2013 to Kathleen's News page (updated July 11, 2013). Sent July 3, 2013 to Kathleen's Chicago email list. Posted June 30, 2013 to Kathleen's News page (updated July 4, 2013). Sent June 27, 2013 to Kathleen's Denver and Colorado Springs email lists. Posted June 23, 2013 to Kathleen's News page (updated June 27, 2013). Posted June 19, 2013 on Kathleen's News page. Added June 18, 2013 to Kathleen's News page. Posted June 16, 2013 to Kathleen's News page. Posted June 16, 2013 to Kathleen's News page (updated June 20, 2013). Added June 14, 2013 to Kathleen's News page. Added June 12, 2013 to Kathleen's News page (updated June 16, 2013). Update. Kathleen returns today from a week-long retreat spent working on what will be the fifth book in her award-winning Chloe Ellefson Historic Sites mystery series. Kathleen is under contract to deliver the manuscript to publisher Midnight Ink for release in 2014. Posted June 12, 2013 to Kathleen's News page. Posted June 11, 2013 to Kathleen's News page. Summer: A Time for Reading Books! Emailed June 9, 2013 to Kathleen's American Girl and Chloe Ellefson lists. Added June 6, 2013 to Kathleen's News page. Added June 2, 2013 to Kathleen's News page (updated June 6, 2013). Update. After 20 years as an individual contributor, Kathleen Ernst, LLC is now a corporate sponsor of two WPR IDEAS Network programs: Simply Folk, broadcast Sundays from 5-8 PM, and Chapter A Day, which she sponsors Monday, Wednesday, and Friday from 12:30-1 PM. To hear her 15-second sponsorship message, click on the right-facing triangle below. Added June 2, 2013 to Kathleen's News page. Update. 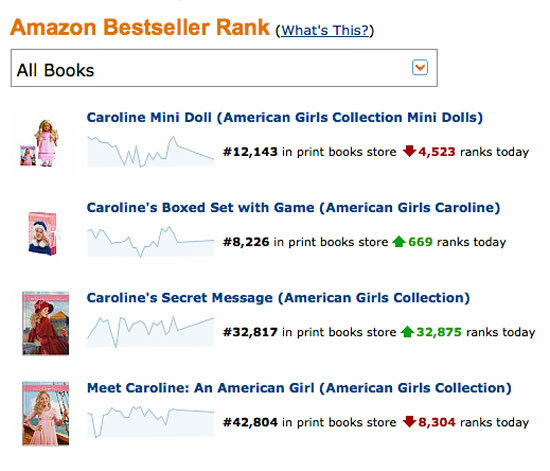 These Caroline Abbott American Girl books are today ranked in the top one percent of sales out of over 8 million printed books tracked by Amazon US. Added May 23, 2013 to Kathleen's News page. Update. We're now midway through Kathleen's '25 Books In 25 Weeks' Giveaway. Congratulations to the three dozen lucky readers who've each won a free, signed and personalized copy of one of Kathleen's 25 published books. If you haven't won yet, don't despair, there are more opportunities ahead! The next weekly Giveaway will be announced Sunday, June 2 on Kathleen's Facebook Author page and Sites and Stories blog. Added May 19, 2013 to Kathleen's News page (updated May 23, 2013). Sent May 15, 2013 to Kathleen's American Girl email list. Added May 12, 2013 to Kathleen's News page (Updated May 16, 2013). Update. The first book in Kathleen's Caroline Abbott American Girl children's historical fiction series, Meet Caroline, received the Tofte/Wright Children's Literature Award at today's Council for Wisconsin Writers' 49th annual award banquet. The event, which was attended by a treasure trove of talented Wisconsin writers, was held at the historic Milwaukee Club in downtown Milwaukee, WI. Added May 11, 2013 to Kathleen's News page. Update. Kathleen penned an article, "High Stakes in a Great Lake," that appears in the Mystery Readers Journal spring 2013 issue. In keeping with the issue's environment mysteries theme, Kathleen writes about how the health of the Lake Michigan fish populations plays a integral role in The Light Keeper's Legacy, the third book in her Chloe Ellefson Historic Sites mystery series. Update. Kathleen is the subject of a 4-page interview by author Dolores Kester in the May 1, 2013 issue of First Draft, the newsletter of the Gupies Chapter of Sisters In Crime (SinC). Writing in the "Teacher's Edition" column, Dolores does a wide-ranging interview, with special emphasis on what Kathleen has learned and done that might benefit new writers. Added May 5, 2013 to Kathleen's News page (updated May 9, 2013). Added May 3, 2013 to Kathleen's News page. Added April 28, 2013 to Kathleen's News page. Added April 28, 2013 to Kathleen's News page (updated May 2, 2013). Sent April 27, 2013 to Kathleen's Milwaukee WI area email list. Sent April 23, 2013 to Kathleen's Eagle WI email list. Sent April 23, 2013 to Kathleen's Fox Valley and Green Bay WI email lists. Sent April 21, 2013 to Kathleen's Lake Mills WI email list. Added April 21, 2013 to Kathleen's News page (updated April 25, 2013). Emailed April 17, 2013 to Kathleen's Annapolis, Baltimore, and Washington DC lists. Added April 14, 2013 to Kathleen's News page. Added April 14, 2013 to Kathleen's News page (updated April 18, 2013). It's Spring, Things are Popping! Emailed April 7, 2013 to Kathleen's American Girl, Chloe Ellefson, and Civil War lists. Added April 7, 2013 to Kathleen's News page (updated April 11, 2013). Added April 1, 2013 to Kathleen's News page. Added March 31, 2013 to Kathleen's News page (updated April 4, 2013). Added March 27, 2013 to Kathleen's News page. Emailed March 27, 2013 to Kathleen's Madison WI email list. Added March 25, 2013 to Kathleen's News page. Added March 24, 2013 to Kathleen's News page (updated March 27, 2013). 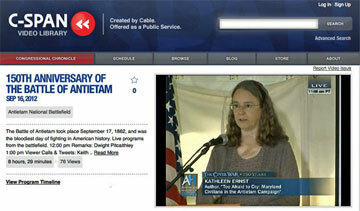 Added March 17, 2013 to Kathleen's News page (updated March 21, 2013). Added March 16, 2013 to Kathleen's News page. Added March 14, 2013 to Kathleen's News page. Added March 13, 2013 to Kathleen's News page. Sent March 13, 2013 to Kathleen's business partners email list. Added March 10, 2013 to Kathleen's News page. Added March 10, 2013 to Kathleen's News page (updated March 14, 2013). Added March 9, 2013 to Kathleen's News page. Added March 3, 2013 to Kathleen's News page (updated March 7, 2013). Update. Kathleen's Caroline Abbott books are prominently featured in a foldout ad attached to the cover of the "Children's Books Spring 2013" issue of Publishers Weekly. Founded in 1872, PW is the international book publishing industry's premier news magazine, widely read by publishers, booksellers, librarians, literary agents, authors, and the media. Meet Caroline, the first book in the seven book series, has been listed several times on PW's Top 25 Children's Bestsellers list. Added March 1, 2013 to Kathleen's News page. Added February 26, 2013 to Kathleen's News page. 25 Books In 25 Weeks Giveaway! Sent February 24, 2013 to Kathleen's entire email list. Sent February 12, 2013 to Kathleen's American Girl email list. Sent February 4, 2013 to Kathleen's Chloe Ellefson email list. Added January 31, 2013 to Kathleen's News page. Sent January 29, 2013 to Kathleen's Mineral Point WI email list. Update. The Powers Prize for Best Fiction Book that Kathleen's second Chloe Ellefson mystery, The Heirloom Murders, earned from the Council for Wisconsin Writers included a weeklong writer's residency at the historic village of Mineral Point, WI. She used her time there last week to begin writing the fifth Chloe book, which is to be released in 2014. Posted January 29, 2013 to Kathleen's News page. Update. Earlier this month Kathleen submitted the manuscript for her fourth Chloe Ellefson Historic Sites mystery to her publisher, Midnight Ink, for release in fall 2013.